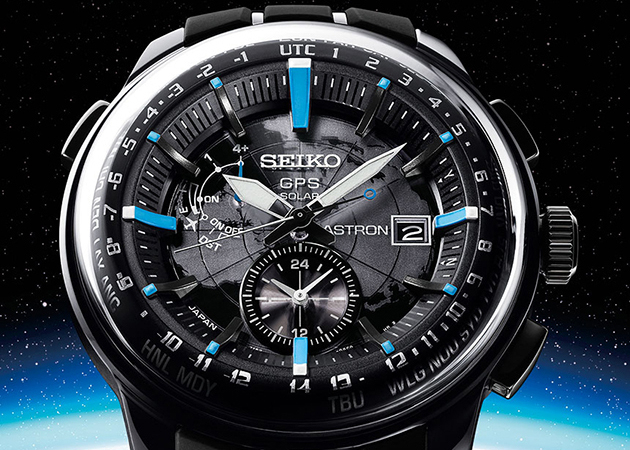 With the Seiko Astron, a new type of technology is being introduced. GPS Solar is a technology that catches a signal from a satellite radio, which is located more than 20,000 kilometers up in the sky. It is because of this astonishing technology that the Seiko Astron can display the exact time anywhere in the world regardless of the place. As soon as Astron receives the signal, the second hand will start to rotate, indicating to the user that a new signal has been received and that a new time is being set. The ceramic bezel replaces the otherwise necessary antenna. 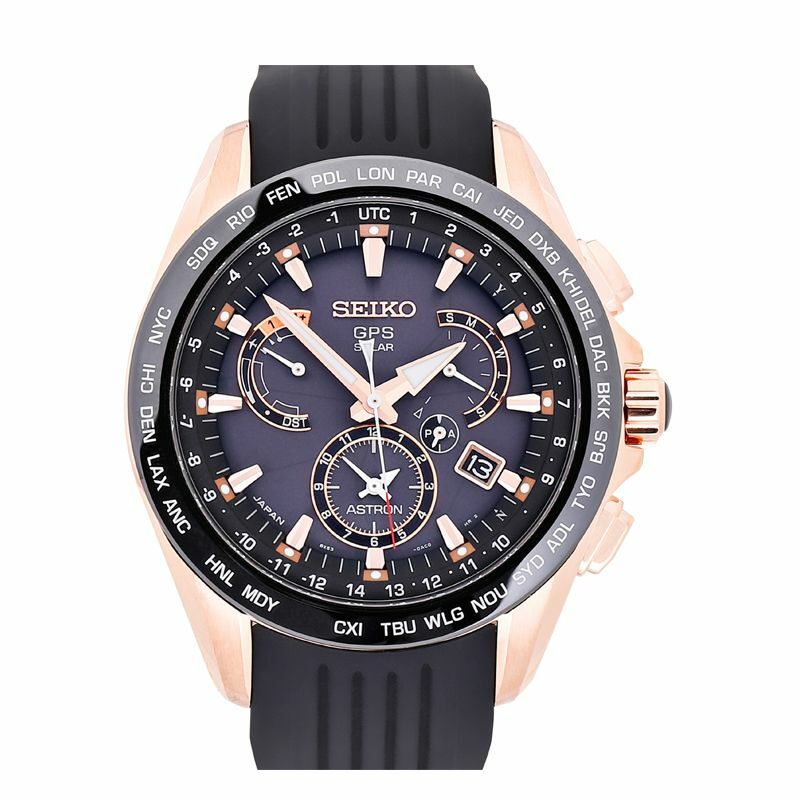 The purpose of the Seiko Astro is to eliminate as many time related problems traveling and such can cause as possible and to make sure that the correct time is displayed at all times anywhere on the planet. With this in mind, let’s look at some other functions the Seiko Astron features such as the “World Time Function”, corresponding to 40 time zones all around the globe and the “DTS Function” which allows the customer to easily switch summer time on or off. These functions were all created to take something as simple, yet so crucial as setting the correct time according to the circumstances off the shoulders of the customer. The Seiko Astron is also well-designed. The “Super clear coating” glass and “Zara scouring finish” case, as well as a carefully finished index combine beauty with luxury for the ultimate design. 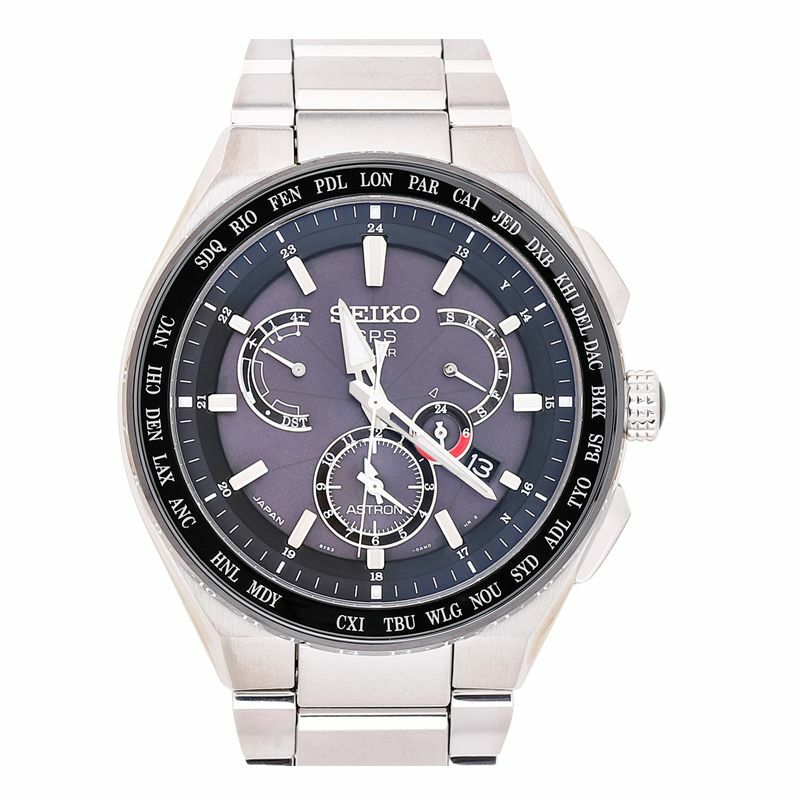 Although the face of the watch is rich in information, the Seiko Astron does not give off a chaotic or messy feeling at all. 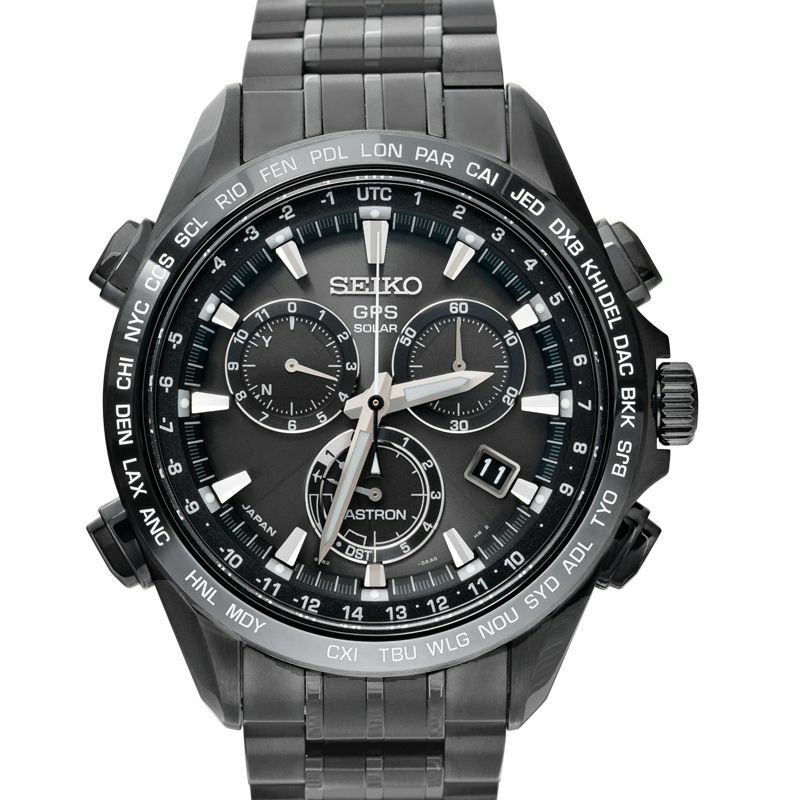 This is thanks to the well thought out design and layout of the Seiko Astron. The Seiko Astron can be used for much more than just for hobbies. It is especially valued highly by the business scene, but also by celebrities and various athletes. Basically any profession that involves a lot of traveling and also requires exact time keeping. The current model is only for men however, it’s also grown in popularity among woman. On special occasions a new limited model which depicts a popular athlete was released. As of 2018, there are five kinds of Seiko Astron lineups on the market. There is the “Executive Line” which is specialized in design. Apart from that, there are the “8X Series” of the normal models which are further divided into four different types. The 8X Series gets its name from the caliber of the movement. This caliber started out as 7X and was used for the first generation. Then, in September 2014 the second generation was released and the 8X caliber was born. Due to miniaturization of various parts and power saving the 8X caliber is about 30% slimmer than its forefather, the 7X caliber. In addition, different dial colors such as blue and white have been added on top of the traditional black. 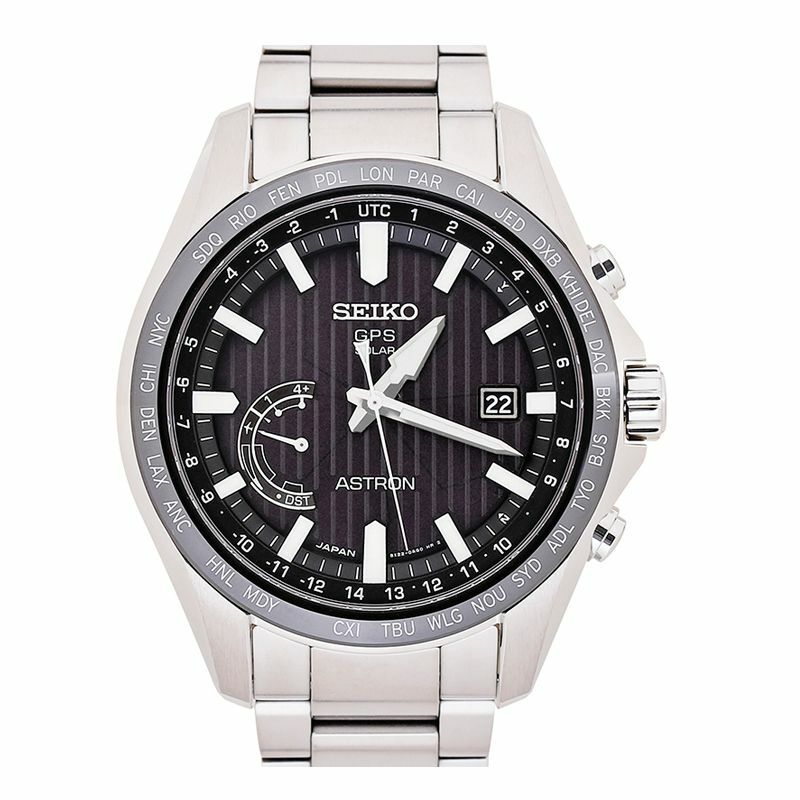 The most popular Seiko Astron model in the 8X series is the “Dual Time”. As the name suggests, it is possible to display two different times with the big big main dial and the small dial located at six o’clock position. The “Dual Time” is, so to speak, the base of Astron. Next is the “World Time”. Among the four different types from the 8X series, the World Time has the simplest dial. A brand new model costs 16,000 yen (Tax included) and is widely considered the entry model for Astron. While its functionality is limited, the World Time is deeply valued and praised for its simplicity. The “Chronograph”, specialized in time measurement is also very popular. The visibility of the hour and second hand is enhanced, making it easier to also check the time at night or in dark places. There are also models where the tachymeter can measure the speed of the bezel. The remaining “Big-Date” is based on the Dual Time model and has an enlarged calendar. The executive line consists of Dual Time and Chronograph from the 8X lines which have been modified with different materials as well as colors with some amazing results. For example, the price of the “Diamond Limited” with diamonds embedded into the index is close to the Seiko luxury brand “Grand Seiko”. Another example would be limited models that depict a celebrity. Professor Shohei Otani, a professional baseball player, and Novak Djokovic, a professional tennis player, both had a model of them released in 2017. The first model is around the 100,000 yen level and latter around the 200,000 yen level.